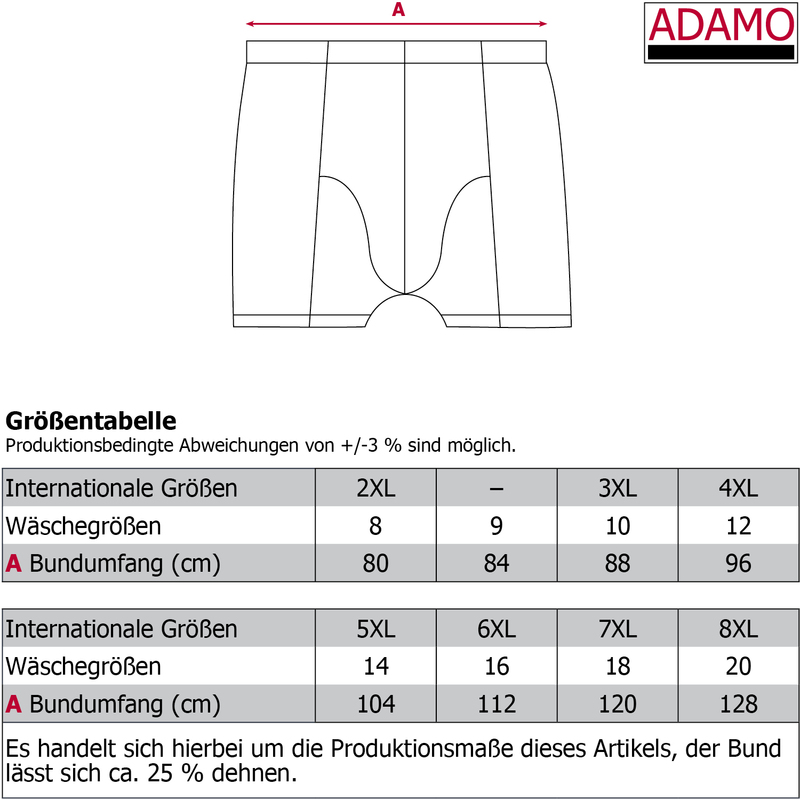 ADAMO offers the JACK short trunks in kingsizes up to 20. The wearing comfort is very high. This is possible because of the perfect processing and the high-quality material of the short pants. The under trousers are produced according Eco-Tex Standard 100. Adamo offers a 2 year warranty on material, fitting and processing. Machine washable until 40°C.